Matthew Murray's Landscape publication Saddleworth, Responding To A Landscape. 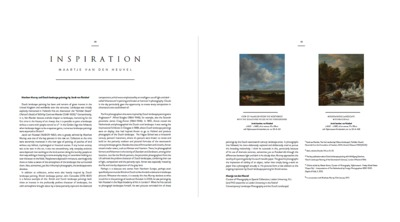 Forward by Martin Barnes Senior Curator of Photographs at The Victoria and Albert Museum, London, Artist Richard Billingham and Maartje van den Heuvel Curator Photography and Media Culture -Leiden Institute. 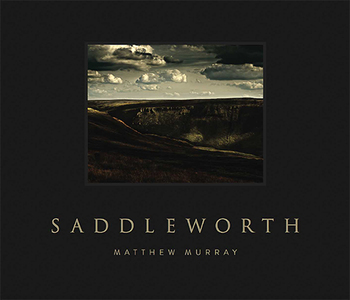 ‘Every trip I have taken to Saddleworth Moor over four years has encapsulated each season, weather and cloud pattern, rain, sunshine, snow, early morning clear skies and the sense of the bitter cold of that emotive landscape.”	Matthew Murray Saddleworth Moor is within the Peak District National Park. It can be an eerie and melancholic landscape, not least because of its horrific past. Murray has made a series of beautiful, rich and painterly landscapes that are iconic in the status. People that have seen work from the series recognise the beauty instantly, but once they find out the location, often then look uncomfortable and the conversation changes. Are the Saddleworth Moor photographs taken at face value? 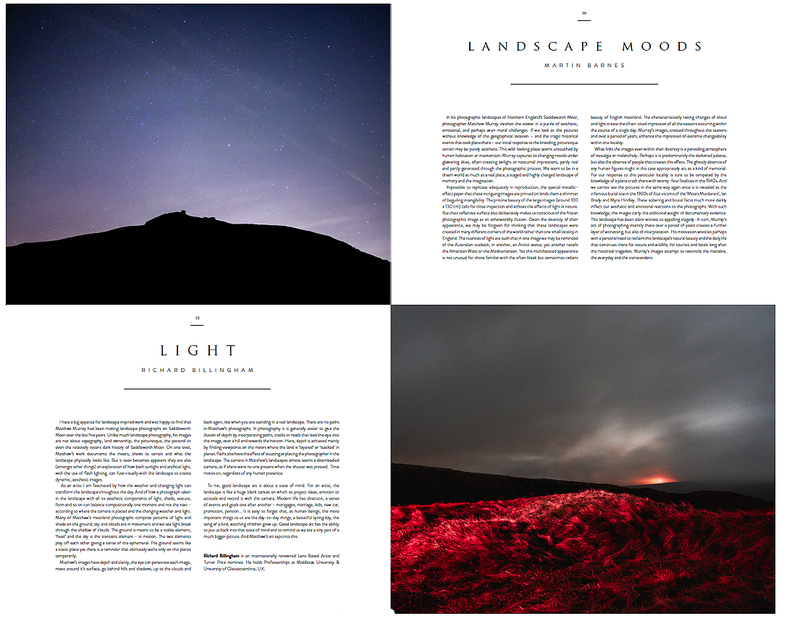 Is the existence of a Saddleworth Moor photographic landscape challenging for people that might have preconceived idea about what a landscape means and looks like? Saddleworth Moor can be a dark, over bearing place, not just because it is the location of some of the most horrific crimes in British history but because of the vast open spaces. It is remote and when the clouds gather and the weather moves in, above and surrounding the deep valleys, rocky ridges and foliage, it can be foreboding. For over four years Murray has been documenting the landscape across the four seasons to illustrate just how beautiful and varied it is. “My first couple of trips to Saddleworth Moor were dominated by the discomfort with its history, getting to know the area, getting a feel for the place, it is so vast it can almost swallow you up. But I quickly saw how amazing the landscape is and the shadows and cloud formations can change quickly and drastically. 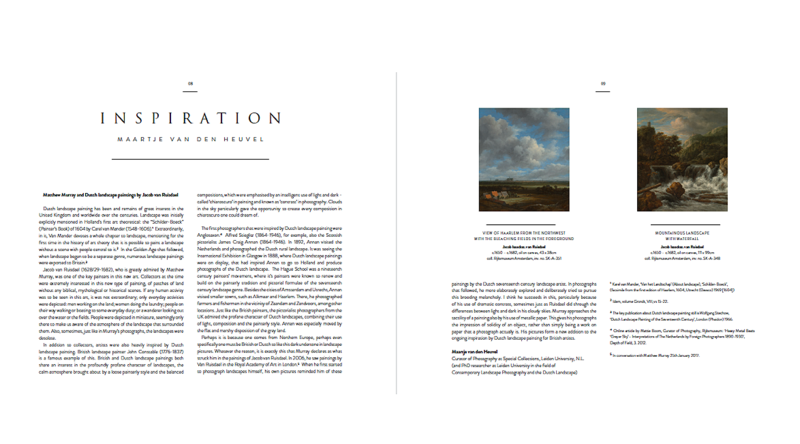 It was only after viewing the very early contacts from my initial shoots that the photographs reminded me of the 17th Century Dutch painter Jacob Van Ruisdael’s whose work I had seen at the Royal Academy of Arts, London in 2006. Scaling hills for two hours with heavy photography equipment and a hot flask of tea, to catch the light before it changes is hard work and sometimes futile - and sometimes brilliant. Catching the light perfectly, trying to encapsulate the almost deafening silence and peace and tranquillity seems almost impossible under the circumstances, but it is possible to capture beauty in most things and Saddleworth Moor is no exception. The striking landscape; elevated plateau, deep V shaped valleys, fast flowing streams and three huge reservoirs sit within the Moors. It is now in parts a busy visitor attraction with picnickers, hikers, dog walkers, bikers and canoeists enjoying the more accessible areas of the area. An ordinance survey map is essential and I have spent hours poring over this map, plotting points of interest. But walking for miles, is a much better indicator than looking on a map, because only walking gives you the overbearing appreciation of this beautiful place and how it changes. It is so vast that on my first couple of visits I was a bit overwhelmed by the size of the place, what to do and where to start, indeed the first photograph I took at Saddleworth Moor will never be used as part of the exhibition as it includes a road, and telegraph poles, ironically a physically scar on the landscape which I did not want to include, the biggest scar is the historical one and I can do nothing to change that, it has challenged every person who has viewed the work in one way or another and this I think is part of the artistic process. Having never photographed a series of landscapes before this series, it was a massive departure from my normal portraiture and street photography work. Shooting these landscapes it was clear that I was inspired by Ruisdael’s work. Light composition and timing were the biggest considerations obviously, as an artist using photography I am interested in depicting the landscape through what I feel rather than what I see, ‘Exactitude is not truth’ Henri Matisse. My approach to photographing this series of landscapes is personal expression of how human and cultural presence is made visible. For example a number these landscapes were photographed at night, early morning using flash lighting, drones with multi-flash units attached to them, manipulating and interacting with the landscape. Landscape is essentially natural, but with my intervention relates to a cultural and social angle and a broader social understanding of the landscape. Documenting the moors landscape as picturesque and beautiful concentrating on light, composition and nature I began to appreciate the beauty of the moors, from beautiful warm long summer days to snow storms in the depths of winter the landscape series became more than just crime scene photographs.” The series leaves the viewer feeling somewhat uncomfortable, landscape photographs, as historical scenes of crime, but which reflect traditional ideas of the sublime landscape as images. This creates a fracture between the seen image and history of the site, the appreciation of the beauty of the landscapes versus the dark history attributed to them. These landscapes will always be home to some the most disturbing crimes in British history, but the paradox is that Saddleworth Moor is that it is undeniably beautiful, exceptionally normal, ever changing, dramatically dark and deeply macabre, a place people walk, cycle picnic and play in the most mediocre and most ghoulish places in which the ever changing landscape will never ever escape. Through the exhibition and publication, large scale landscapes, noble and 'art historical' photographs that are beautiful, significant and that show the exploration of place, identity, topical observation and transformative moments within the landscape the intimate insight and obsessive study will allow audiences to think about their own experience and emotions when faced with landscape and nature. Funded by Arts Council of England and University of Gloucestershire. 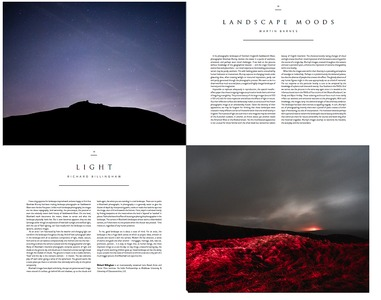 IMA Magazine Volume 22, Japan, did an editorial piece focusing on recently published photobooks in the UK included is the Saddleworth: Responding To A Landscape photobook publication.Official URL: https://imaonline.jp/en/imamagazine/vol22.html Matthew Murray was awarded a Silver Award at The Tokyo International Photography Awards 2018 for the publication Saddleworth: Responding To A Landscape (Background: TOKYO INTERNATIONAL FOTO AWARDS’ mission is to recognize and reward talented photographers from around the globe and put them in touch with the artistic community in Tokyo, Japan. Photographers from all corners of the world are encouraged to enter their work. Winners are selected by our esteemed jury of photographers and leaders in the photography world and are awarded the TIFA trophy, cash prizes, extensive publicity showcasing their work to a worldwide audience, and much more. The Jury include - Goh Kim Hui Photographic Society of Singapore (PSS), Prof. William Snyder, Rochester Institute of Technology / School of Photographic Arts & Sciences, Natasha Egan, Museum of Contemporary Photography at Columbia College Chicago).